Brian Raftopoulos is Director of Research at the Solidarity Peace Trust and Research Associate at the Cape Town University. This Interview was taken by Claudia Simons, political advisor in our Africa department. Heinrich Böll Foundation: You say that what happened in Zimbabwe in the past weeks was "one of the biggest political frauds in the history of postcolonial Africa." Why? Brian Raftopoulos: What has happened in November is effectively a coup d'état. The perception of who had been in charge of politics and the ruling party Zanu-PF has now been overturned. The military are to the fore. They are the ones who led this, who are now increasingly in charge of the state and the party, and the structures of the state. The fact that they have managed to sell it as something else than a coup is what is problematic. That they call it a military intervention to weed out political criminals around Grace Mugabe, and that the military have been able for the moment to get buy-in from SADC, from the African Union around this particular construction. The manner in which they have done it has also been problematic. Firstly, they have used the language of constitutionalism to move Mugabe out of the ruling party, by starting impeachment procedures against him and eventually getting him to resign. Secondly, they have used the language of change, which was the opposition's language - to get people on the streets. Therefore they got popular support. Many people came out on the streets not because they wanted Mnangagwa in but because they wanted Mugabe out - and this was a cathartic moment for Zimbabweans. Thirdly, the language that Mnangagwa is using is the language of international re-engagement around neo-liberal reforms. So you have a combination of constitutionalism, so called popular support and neoliberal reforms to get international re-engagement. But the heart of this all, is a coup - a military take-over, military control of the state. And that is why I am saying: The danger is that it will be accepted as a transition when in fact it is a fraudulent activity, because it is a coup. Why is it important to push for political reform as opposed to favouring economic stabilisation right now? There are primarily two reasons why Zimbabwe is in the crisis situation as it is at the moment: One is the long legacy of colonial inequalities in Zimbabwe and the effects this has had. The other reason is the very serious democratic deficit. At the manner in which the Mugabe regime created an authoritarian state which did not allow for procedures of accountability, of debate and discussion, contributed to increasing corruption, the lack of consensus around policy issues, to a very repressive mode of imposing policies on the citizenry without a broad consensus on the way to move forward. And this corruption and increasing patronage network that was created in the state because of the undemocratic politics contributed seriously to the economic decline within the country. So there will be no economic stabilisation without political reform. In fact, a focus on economic stabilisation without political reform would ignore the analysis of the origin of economic decline in the first place. What did civil society and the opposition movement contribute to the current situation and what role should they play in the coming months? One of the problems of what is happening now is that people have forgotten how the opposition and the civic movement contributed to opening spaces in Zimbabwe and also contributed to the dynamics within the ruling party Zanu-PF. Without the opposition and the civic movement we would not have had a new constitution. Without them we would not have had this big debate on electoral and political reforms. We would not have had international engagement on the lack of change, and the continuous repression and abuse of human rights within Zimbabwe. The opposition and the civic movement have opened up the discourse on democratisation, on human rights, on economic reform which is now being appropriated by this coup - which uses the language of constitutionalism, political change and economic reforms. These have all been the issues pushed by the opposition and civil society. The fact that Mugabe was not pushed out of power specifically by the opposition and civic movement - although, we must remember, he was in 2008 when the MDC won the elections although they were denied their victory - people forget how much they contributed to the changes that are taking place right now. Without engaging the opposition and the civic movement in the future you will not get the impetus for change which we require. If you only depend on reforms within Zanu-PF you will simply get a consolidation of a new authoritarian state. What are the most important next steps for the international community to take? The international community needs to make sure to continuously link economic reforms to political reforms. They must not allow this regime to let the economic reform issues dominate the discussion at the expense of all the issues around electoral reform, democratic reform, human rights issues which have been a central part of the opposition and civic discourse since the 1990s. The international community has to be careful not to prioritise stability over democratisation. 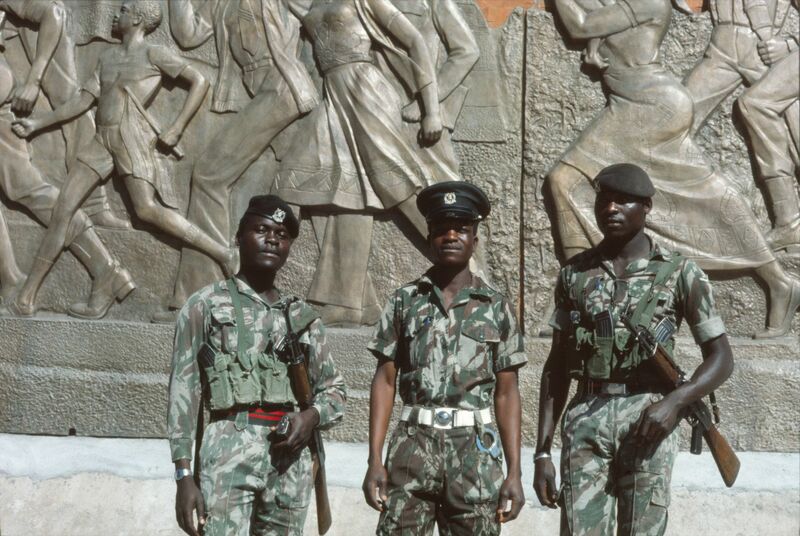 Military takeover in Zimbabwe: "Politics in this country will not be the same"
The Zimbabwean military has apparently ended President Mugabes longlasting regime. Although unparalleled, the coup appears to pre-empt imminent threats to military interests, says political analyst and researcher McDonald Lewanika. Both the Mugabe’s succession plan and Mnangagwa’s long held Presidential ambitions have been in play for some time. While they have coincided in their strategic intent, at some point the final confrontation between the two was always on the cards.